On a salt white airstrip in Lommel Belgium surrounded by futuristic looking Wind turbine’s is Eurosunday one Belgium’s biggest stand alone car shows. Ran by a great team who are well organised and understand what the car community are looking for. A chilled out day, nice weather, beers and some good food. The 2015 show didn’t fail to disappoint we travelled all the way from the UK to see our good friends in Belgium and experience what the show is all about for ourselves. 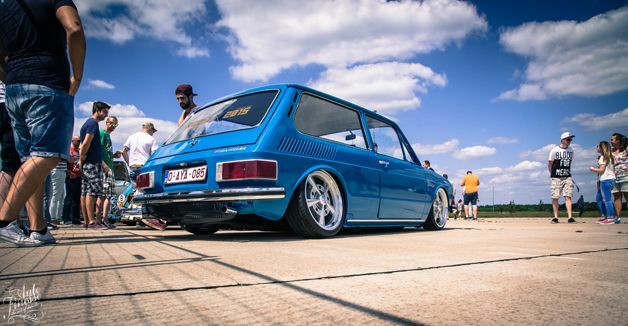 Lets start things off with a car we will all be familiar with already, it’s Kaggie’s wide arched MK5 tucking those enormous 12J Rotiform LHR’s, she made the journey across the channel along with several other brits. 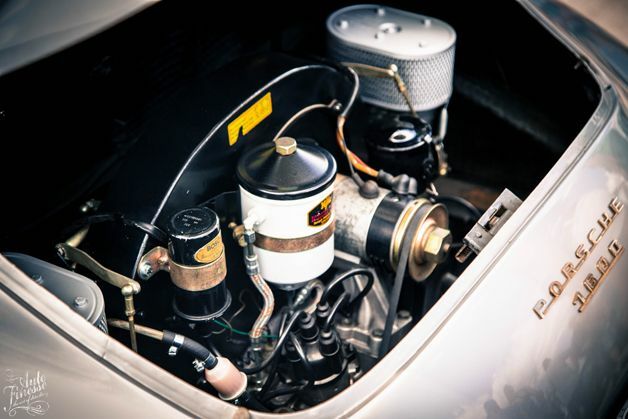 This is something you don’t see very often in person, with there being only 12 of these beauties in Europe as they need to be imported from Brazil, Ben’s Volkswagen Brazilia is a cute little air-cooled VW based around a Karmann Ghia chassis it oozes air-cooled awesomeness. 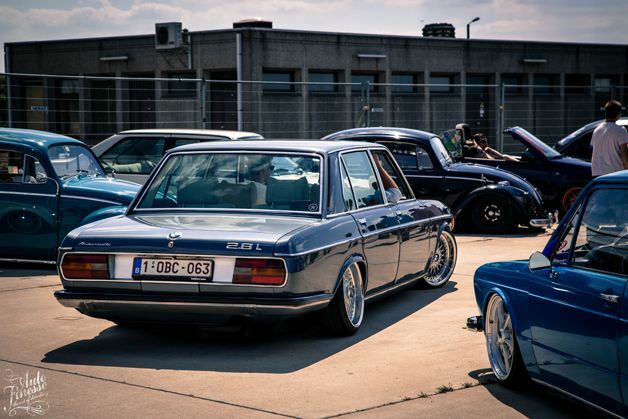 This example has air activated front struts but a static rear, the air is used purely for speed bumps as the Belgian council love them over there. 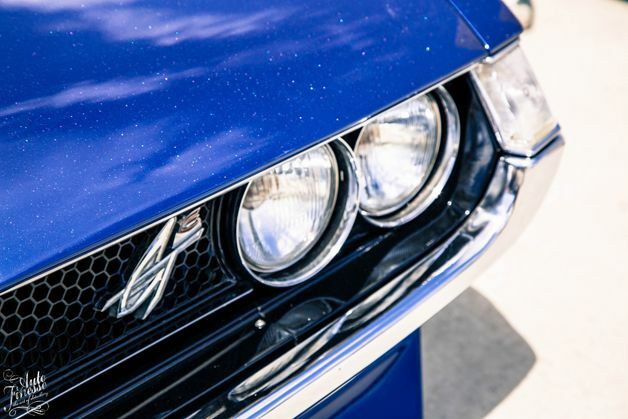 Painted in a gorgeous shade of blue with immaculate bodywork and retro period interior. What an awesome car! 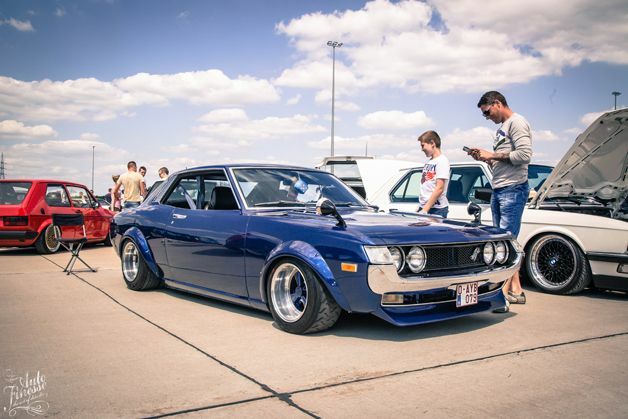 This stunning wide bodied Toyota Celica GT mesmerised us from afar, with its flake in the paint, stunning bodywork and aggressive stance. 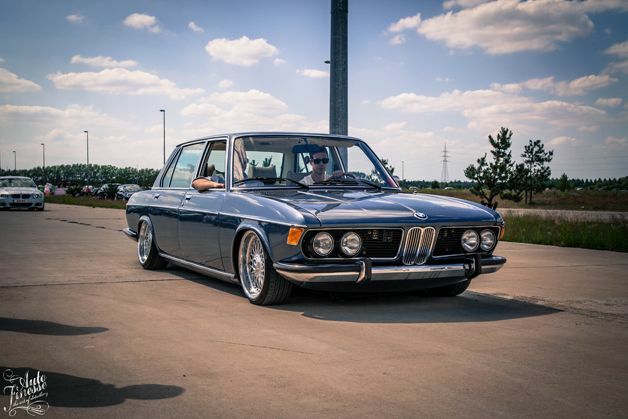 This car was one of our favourites from the event, several times we return to look around this beauty another time. 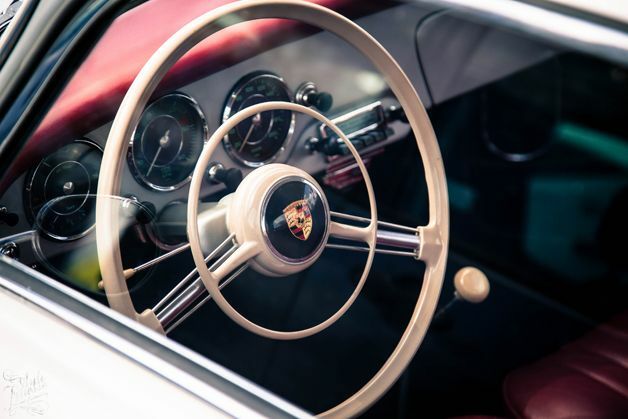 One car that always gets us excited is the Porsche 356, this example was perfect, a few subtle modifications to add to the stance and set up of the car but still drivable and keeping the original looks that make this car so appealing. 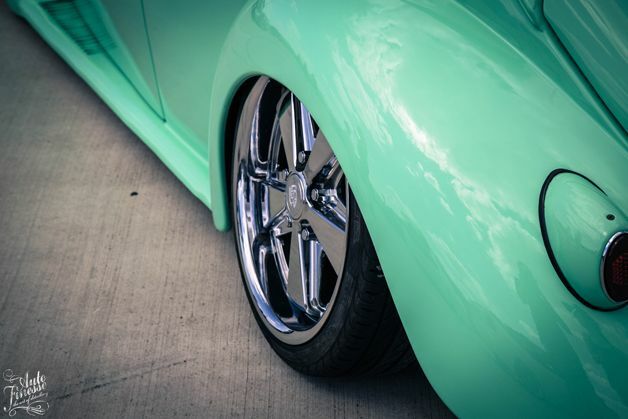 This mint beetle had some awesome stance, when we were talking to the owner we yelped when he said it’s static, the car has so much rear tuck. 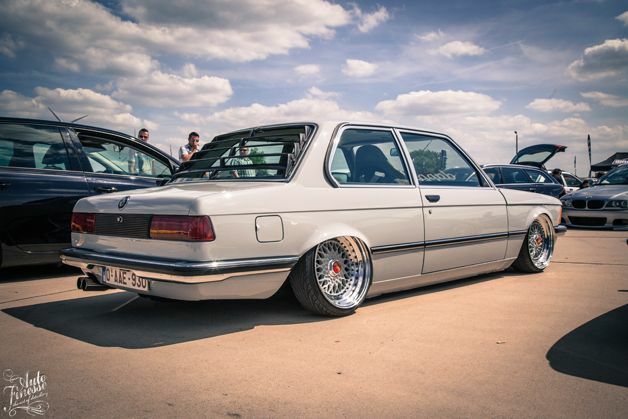 Fair play to the owner for rolling this low and looking so cool whilst doing so. He said I catch and scrape all the time, people look, stare and point. I just laugh and carry on. 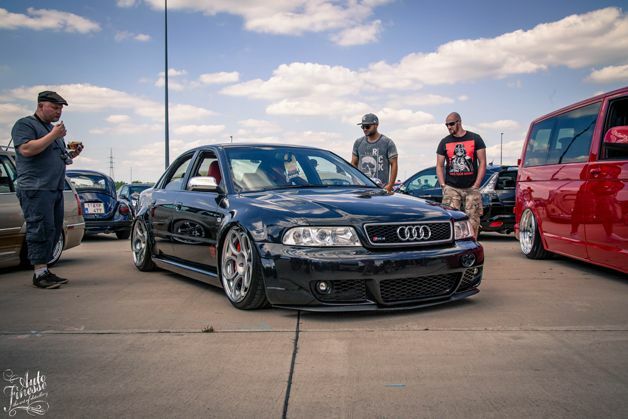 More UK guys now, with Jule’s RS4 B5. 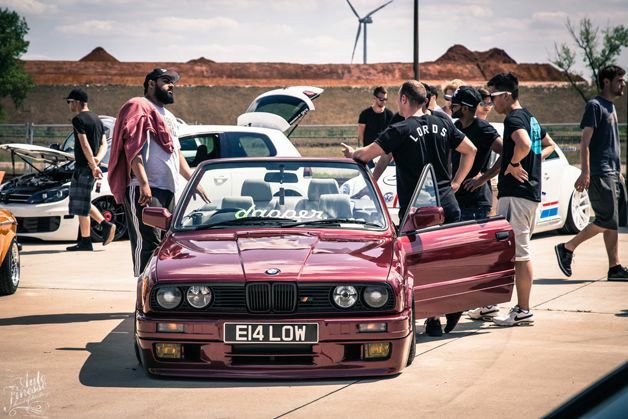 So much has gone into making this car over the past year, initially Jules was after the power and turbo capabilities, once he had sorted that he moved onto the wide body arches, airlift, wheels and interior. Once again he has completely blown us away with his build. 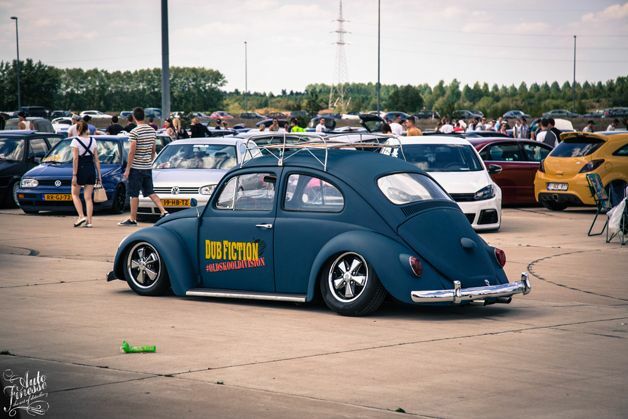 Keeping on the Dub Fiction theme, the guys from the Belgian quarter joined forces with the UK guys and represented on a united front which was great. They had several cars in Belgium and France our favourite was this wrapped Beetle. 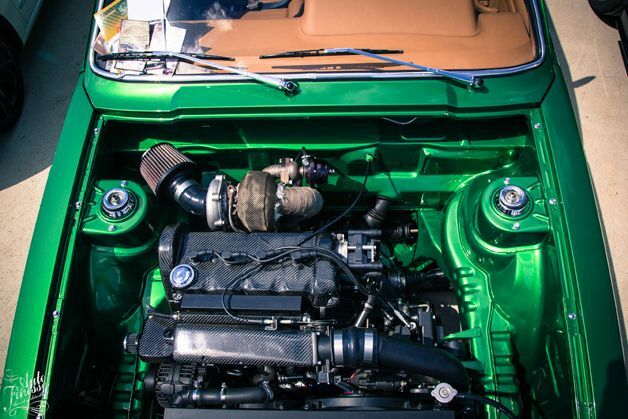 Frederik’s MK1 Scirocco is always mind boggling, it has so much detail in the build from the carbon covered turbo charged engine bay to the tan Porsche interior, we followed this car last year at a show and it pop’s flames and sounds epic on the move. Its pretty hard to miss in that vibrant green as well! 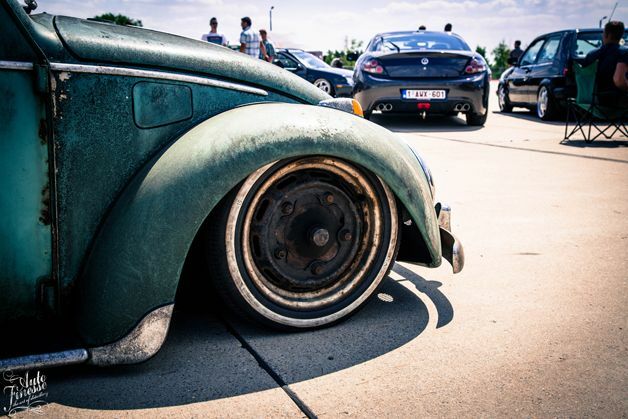 The wheels are polished by Puc Polish/Felgen werkes. 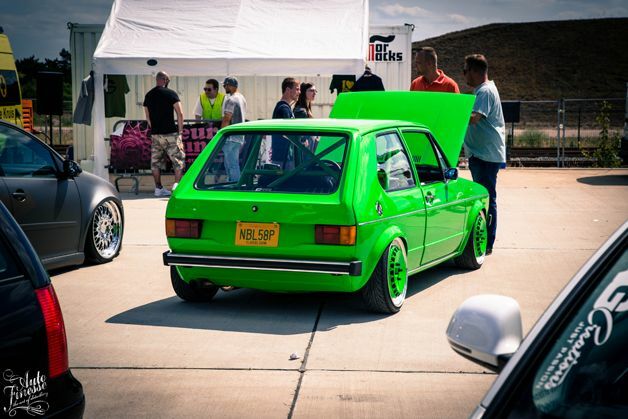 More UK cars that made the trip over include, Players Jay’s infamous G60 MK1 with some serious power. The Dapper guys Prakash and Faz in there stancey BMW’s E21 & E30’s. 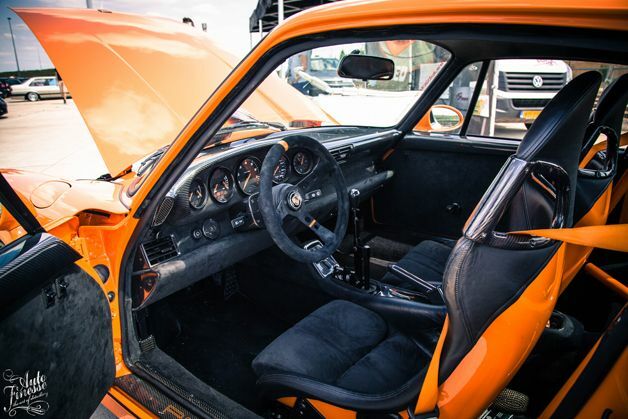 This orange 964 was absolutely mind blowing, bright orange paint, and every part of trim that can be carbon fibre is carbon fibre, engine parts, complete dash, door cards and back of seats. 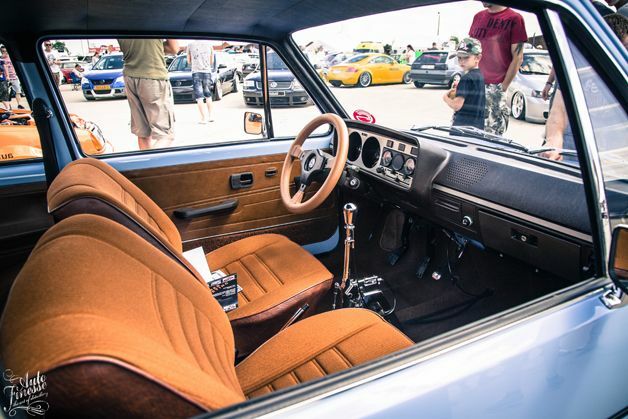 Fitted with cages on the inside, extra stiffening in the trunk and an incredible amount of detail on this build. Another personal favourite from the show. Kevin Pourtois’s BMW E3 is a car we have been wanting to see for a while now, it didn’t disappoint in person, the old school CSL style nose with the saloon shape looked great laid out on the floor, the subtle OEM Style 5’s look ok for now but it needs some better wheels in future, maybe some BBS RS’s or BBS E series wheels just to finish it off. 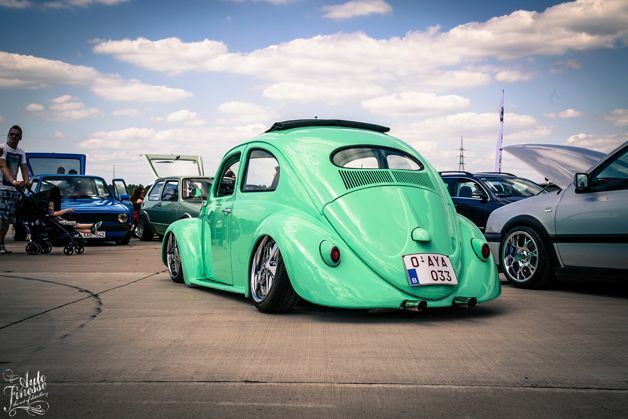 Beetles had a strong attendance at Eurosunday from immaculate restored examples to patina’d slammed styles. 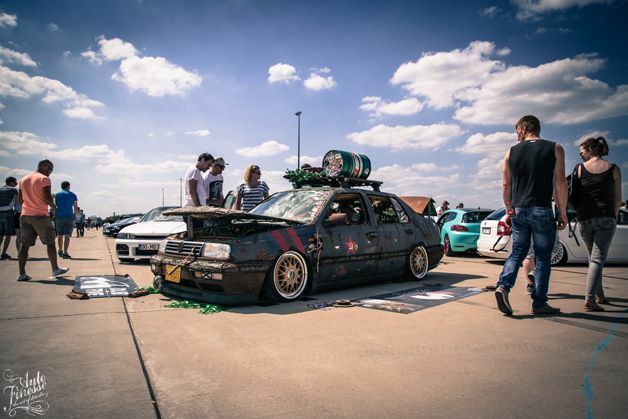 It’s awesome to see such variety and styles in modifying. 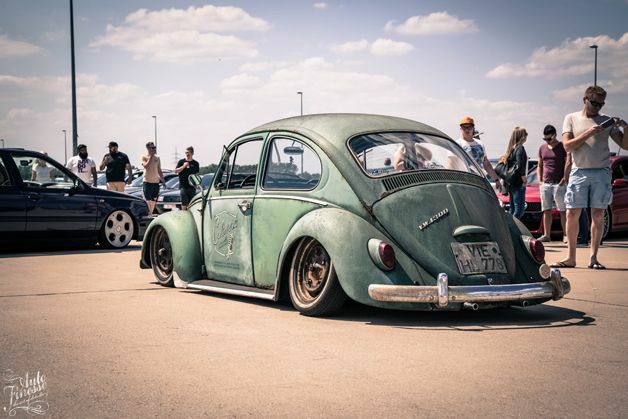 This Bug ticked all of the rustic rat style boxes for us, the car had real character. 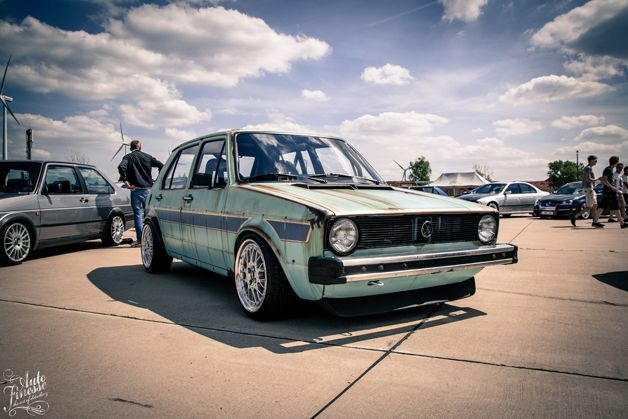 MK1 race cars are something we have seen a lot in the past, this one though had a rather cool twist with a patina’d retro paint scheme on the outside hiding that the car has some serious power, Recaro’s and a cage. Awesome combination. 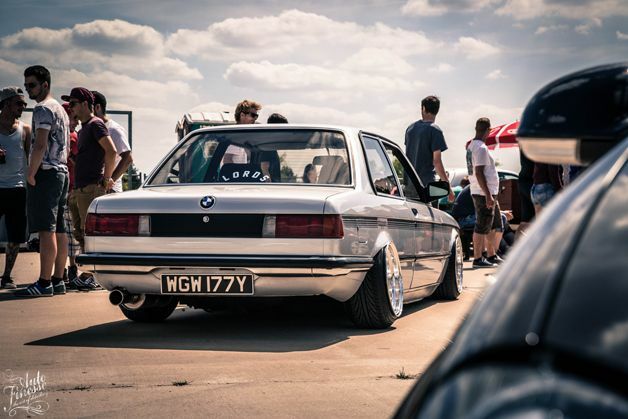 This BMW E21 was on another level to most the examples in the UK, every small detail had been thought of. 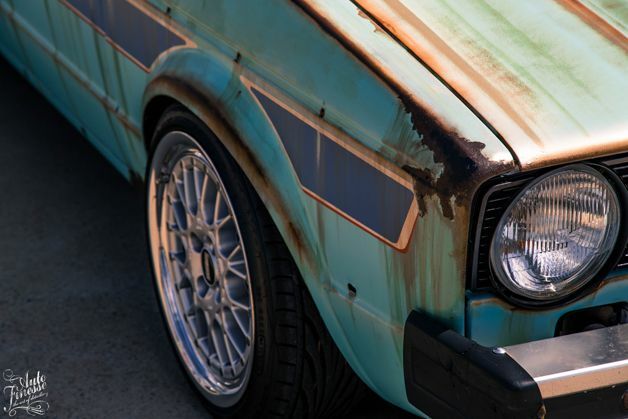 The stance, paint, bodywork, interior and so many small modifications. The interior had a complete carbon dash, carbon, centre console, carbon door cards, carbon seats all finished with a green original style interior freshly trimmed. Tucking some sweet RS’s in the rear arch’s it sat perfect! 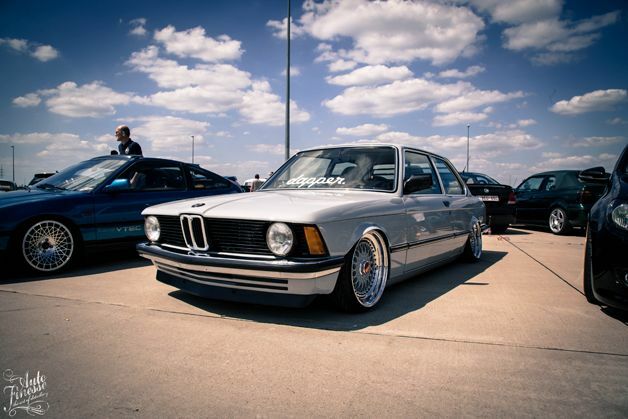 This car was built and previously owned by the fella who is currently running a grey BMW E31 on Bronze VIP Modulars. 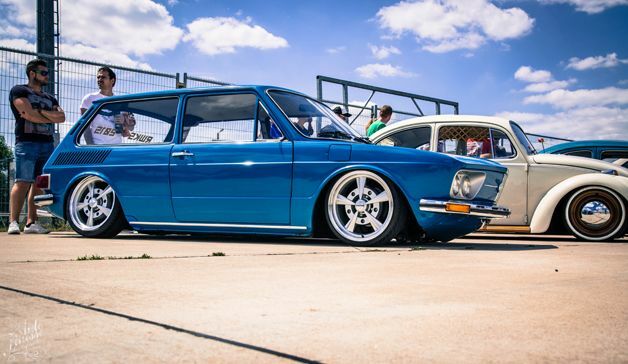 One car we have to talk about is this gleaming MK1 that we saw last year at MIVW. 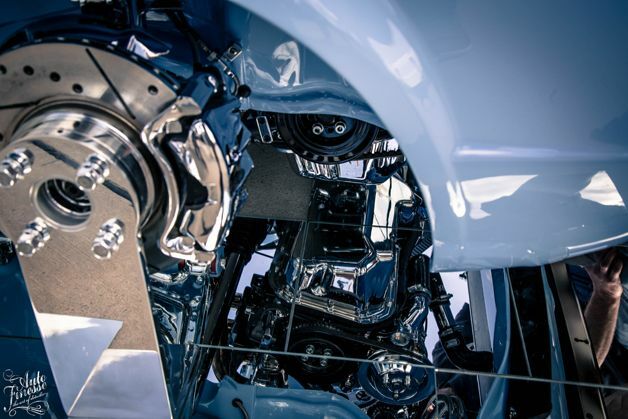 Pretty much every functional part of the car is chrome plated, the whole hub assembly’s, engine, suspension and any thing else you can think of is shiny chrome. Surrounded by mirrors so you can see al the hard work underneath, its such an epic build and we’re glad we got the chance to sit the car again. 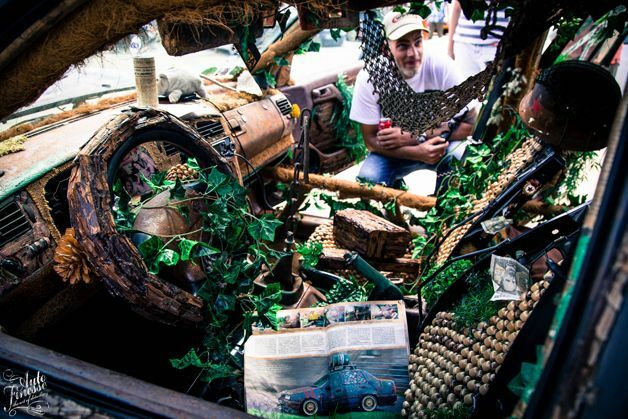 Another car from MIVW is this wacky rat style Jetta, smothered in tree style body pieces and interior trim, grass, branches and god knows what else. This car must be crazy to drive or see it on the move. Certainly a crowd drawer though as it has so much to look at and a great idea by the owner. 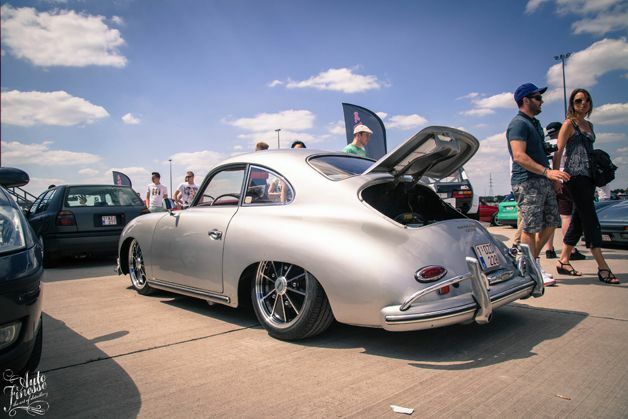 We throughly enjoyed Eurosunday, walking around a great show whilst topping up our tan’s chilling out and relaxing. What an awesome way to spend the weekend.